Private investigator Charlie Miner, freshly revived from his own murder, gets a call from Homicide Detective Dave Putnam. Self-styled “psychic to the stars” Tamara Gale has given crucial information about three murders, and the brass thinks it makes the Department look bad. Dave wants Charlie to help figure out the angle, since he has first-hand experience with the inexplicable. Trouble is, Charlie, just weeks after his full-death experience, once again has severe cognitive problems and may get them both killed. 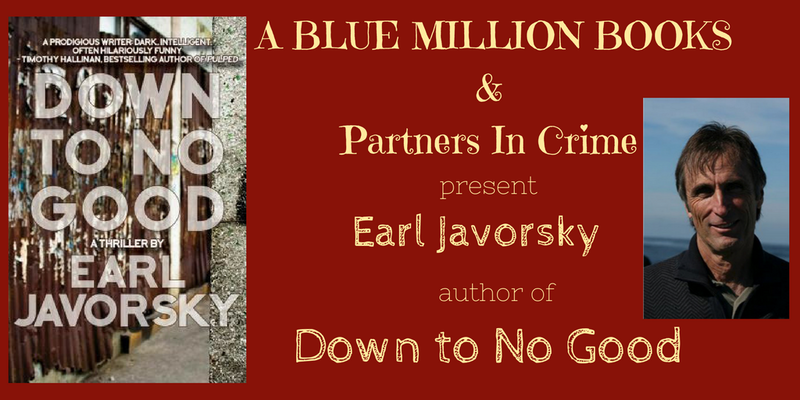 Earl Javorsky’s Down To No Good is wildly original, wildly energetic, wildly funny – it’s just straight up wild, and I mean that in the best possible way. – Lou Berney, Edgar Award-winning author of The Long and Faraway Gone. When it crystallizes into something I’d like to read if someone else had written it. When I create—I do this—a Rubik’s Cube of a structural puzzle for myself and am unable to proceed because nothing makes sense. My kids—when they’re getting high, we want to move to Uruguay. Salads, coffee ice cream, red peppers, grilled cheese sandwiches. Everything I’ve done has led me to here, right now. I like here, now. That said, I wish I’d spent less time in the sun. Something in Mazatlan—wish I knew. What color the curtains are. I hope the authors you love most love your work. I have an idea for a novel. Really! But I need someone else to write it. Kem Nunn, Michael Gruber, Elmore Leonard, James Lee Burke, Iain Pears, Graham Greene, John Le Carre, JG Ballard. Play basketball, hang out with my wife, surf, read. Gardening, weddings, dinner with more than three people. Every mistake has led me here. I like here, now, this. 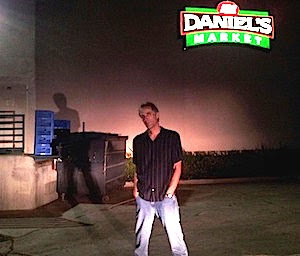 Daniel Earl Javorsky was born in Berlin and immigrated to the US. 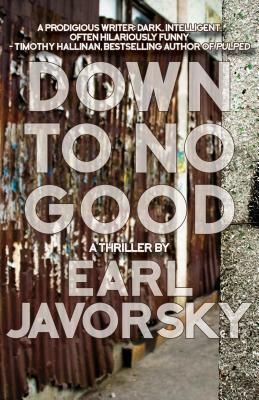 He has been, among other things, a delivery boy, musician, product rep in the chemical entertainment industry, university music teacher, software salesman, copy editor, proofreader, and author of two previous novels, Down Solo, Trust Me, and Down to No Good. He is the black sheep of a family of high artistic achievers.